Oh Boy. The driver side CV joint bolts backed out (a whole story in and of itself) and the axle came loose from the trans at 35mph. 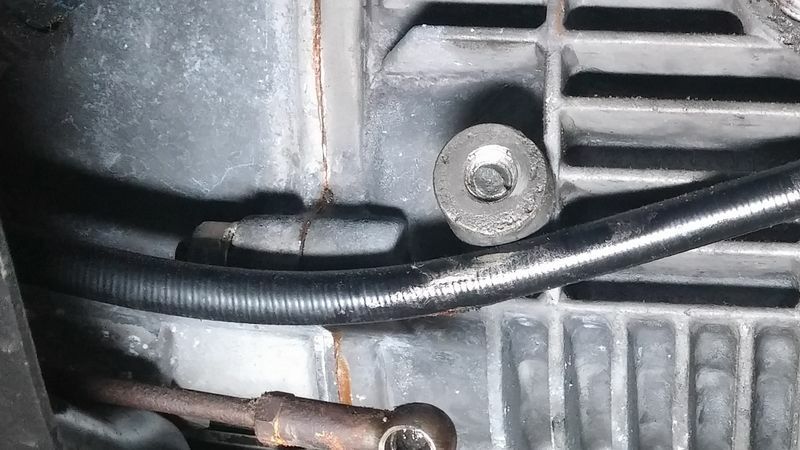 The spinning, flailing CV joint caught the throttle rod aft of the relay lever and pulled the lever backwards, snapping off the mounting bolt in the process. 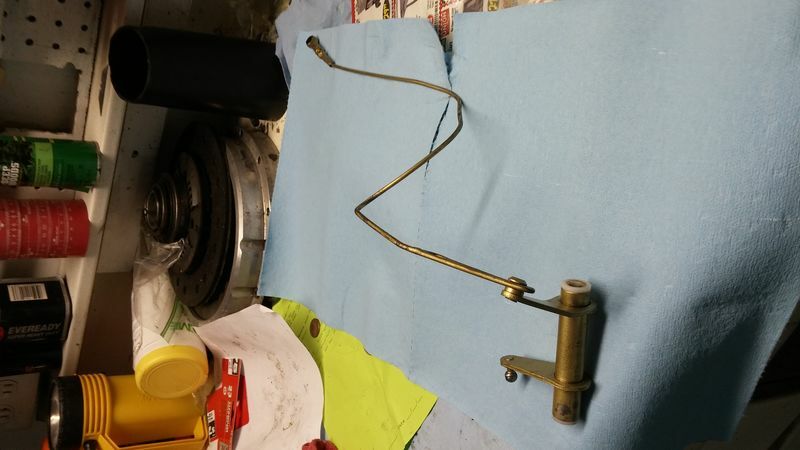 The trans was just rebuilt and is exceedingly clean, and the mounting bolt in question was spotless and re-installed only months ago, so it is not stuck or oxidized in place. It should come out without a lot of coaxing. I just can't get a grip on the thing. Sorry, top picture is upside down. I have several ideas about how to remove the broken bolt, but I need the advice of a more experienced mag trans person. Matt Monson? Pete Zimmerman? I am specifically intimidated by the magnesium trans case. I have successfully removed a broken stud from an aluminum engine case by MIG welding a washer and nut to the bolt. It took a few tries, but it worked. However, in that case, the bolt was snapped flush and the surrounding material was aluminum. I know magnesium, once aflame, is nearly impossible to douse. Is it safe to MIG weld on a bolt threaded into magnesium? How volatile is magnesium? I know magnesium gets welded all the time, but I'm leery having had no experience with it. Has this been attempted by anyone else? 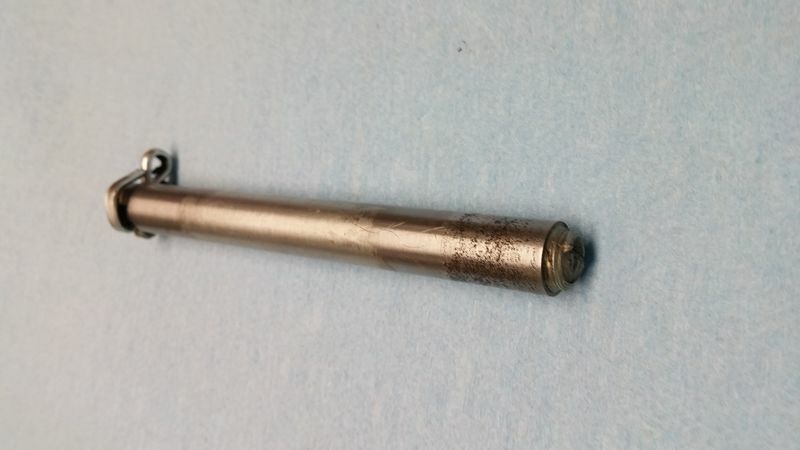 And in this instance the bolt is snapped off a few millimeters below the surface of the trans case. https://www.youtube.com/watch?v=dJfkCj3FWBs at 3:40 Centering bit drilling method using reversing bit. 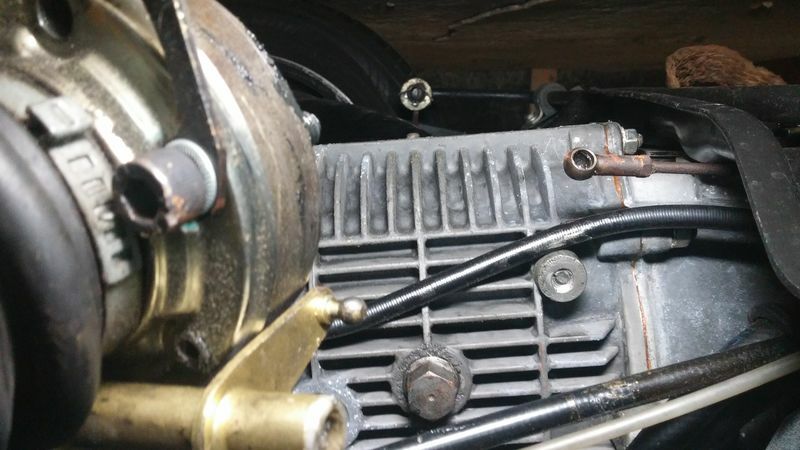 There is very little clearance between the trailing arm and the trans for a drill and centering bit. Most likely engine/trans removal is necessary. https://www.youtube.com/watch?v=P0vakRH-bpY at 3:10 Simplified welding technique, just building up the deposited metal into a nub large enough for vice grips to grab it. With proper shielding of trans and nearby fuel lines, this can easily be done with the trans in car. https://www.youtube.com/watch?v=bXz-chvw-90&t=109s Welding washer and nut to stud. This method seems difficult with the trans in place and working on a vertical surface. This method, too seems to entail pulling the motor and trans and doing the welding horizontally with the trans on it's side. I like the simplified method, but again, I'm intimidated by the magnesium. Has anyone else done this? Thoughts? Thanks! Ouch ! It could have been worse. I'll let the 915 experts chime in on the repair advice ..... meanwhile, would you mind taking a closeup pic of the moon plate at the failed bolt ? I broke mine on my first engine removal. I didn’t even think anything of it. I don’t remember the exact method I used but it was either just a left hand drill bit or drill and an easy out. Wasn’t hard to remove at all all though my transmission was out of the car obviously. Consider using the Nord-Lock washers. I used them on my SC sans the moonplates. Checked them twice and they haven't budged. When I loosened one of the CV bolts to see how well they are working, the NL washer released with a nice "ping". In your pic, it's interesting the imprint of the washer is uneven over the entire circumference of the moon plate. I'm wondering if that could be a factor. The paper gasket needs to be checked after 100 miles for tight on the bolts. The bolts are 12.9 strength so you’re not going to break them with torque. 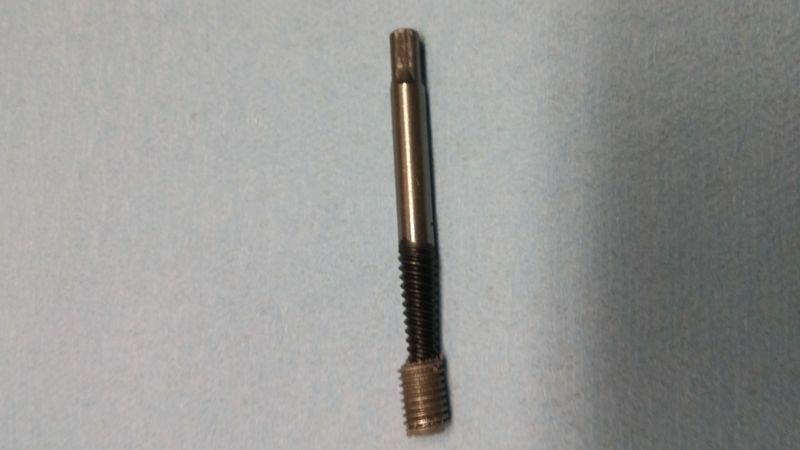 The broken stud is 8mm on the threads. Center punch it then pilot drill. Use a fresh small easy out to remove. At least you didn’t break the mag boss off. Make sure you punch the exact center, and take your time drilling a pilot hole. If you don't hit center your screwed. If that fails get someone who knows how to tig weld and they can build up the bolt and you can get a pair of vice grips on it. Got it! This had me intimidated, but it actually came out very easily. Thanks to all! 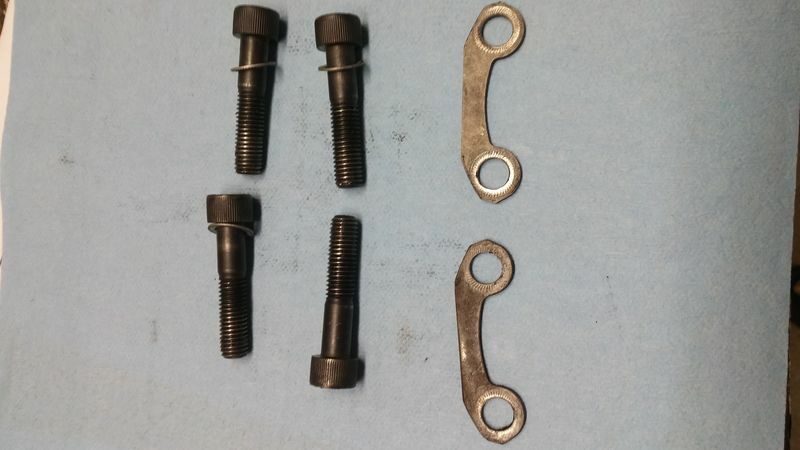 New Schnorr washers are good ideas, but folks have also drilled the CV bolts for safety wire. Kind of a suspenders and belt type of thinking.